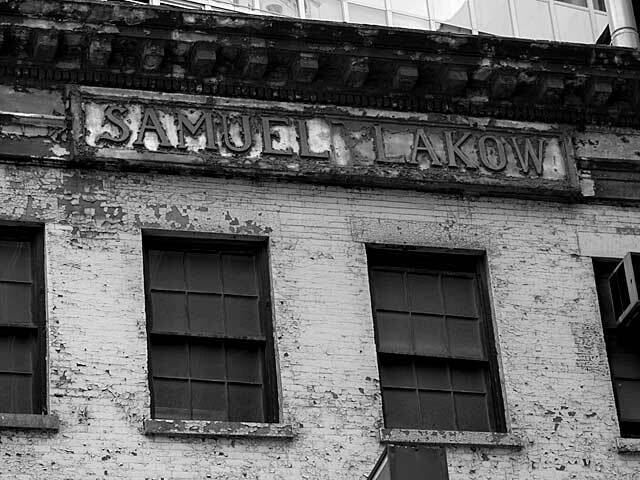 In 1895 Samuel Lakow, furniture, was located at 116 Pearl St. in New York City. The founder, Samuel Lakow (1871-1935), was born in Russia, came to the United States in 1886, and opened his furniture business two years later. 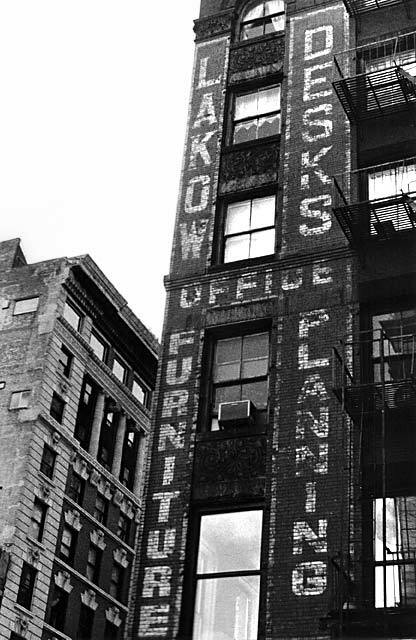 Lakow Furniture moved to 20 Beaver St. in downtown New York in 1920 (click here for ad showing Lakow products and services in 1929). The building at 20 Beaver St. (as of April 2005) still carried the Lakow name in its pediment (click here for image). The business became Samuel Lakow & Sons Inc. in the mid-1930s. At the time of Samuel Lakow's death in 1935 his five sons, Harry, Ben, Monroe, Herman and Albert, were all associated with the family business. Samuel Lakow & Sons survived for another 40 years, finally closing in the mid-1970s. The address above (117 Hudson St.) was used for office and warehouse space between 1962 and 1970. The signs were painted during this period. These signs were only recently removed when the building was renovated in late 2001.